Whether you call it a mushroom or a toadstool, it doesn't matter; the mushroom (and whimsical woodland creature) is in right now. 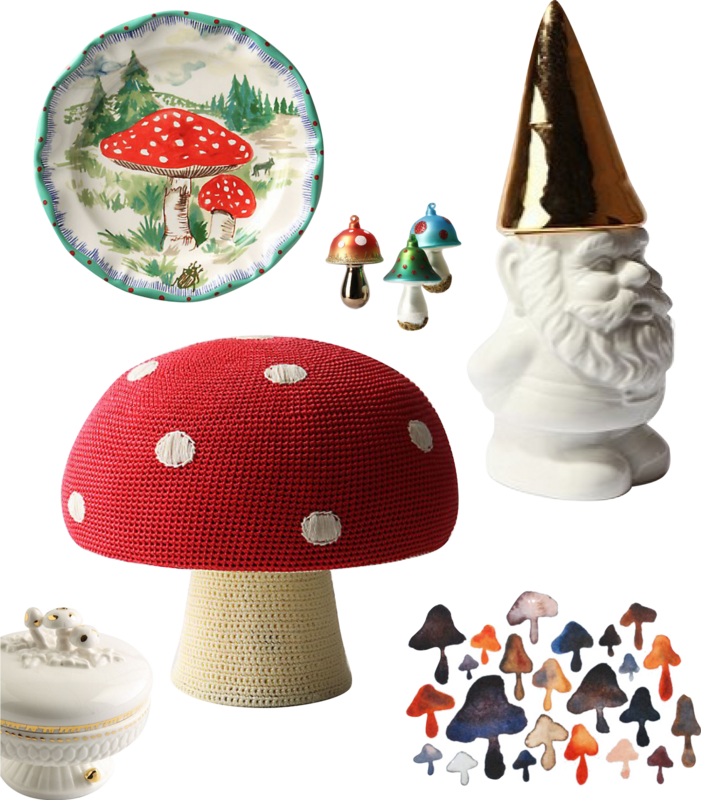 I have enjoyed seeing it in many places while Christmas shopping and wishing because growing up, family members collected the iconic Amanita Muscaria (red-with-white-dots) mushroom and amassed an impressive group of gnomes. I want to put the ornaments in a shadow box and keep them all year round!